The nuts of the shellbark hickory are a favorite of wildlife because they are both sweet and edible and the largest of all the hickories. In addition to tool handles, the tree’s hard and durable wood is also ideal for fuelwood and charcoal. 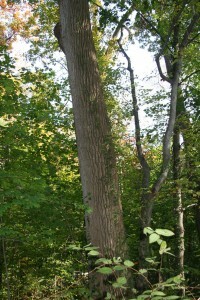 The common name refers to the mature bark that peels away like a shell, although in strips like the shagbark hickory. Shellbark hickory is a slow-growing tree often found on deep bottomland soils near rivers and creeks. 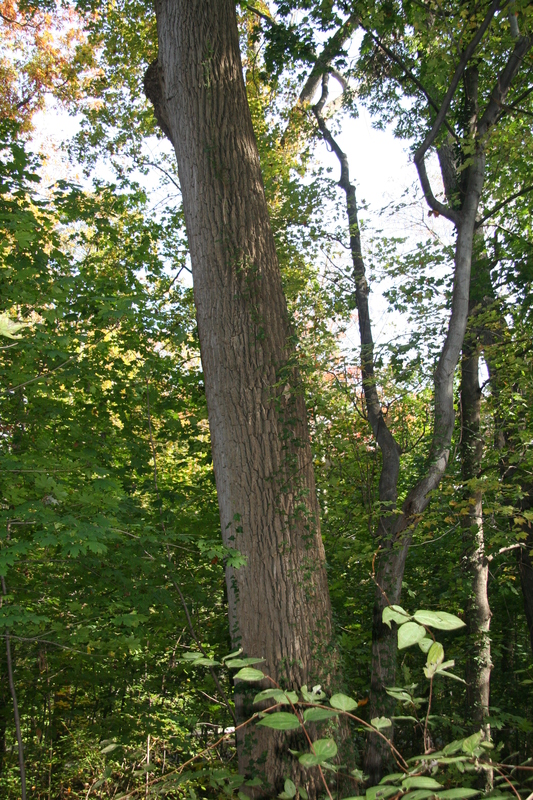 It is also more resistant to forest pests and pathogens than other hickories. Shellbark hickory trees usually have 7 to 9 leaflets with a terminal leaflet somewhat larger than its lateral leaflets.